1. Know your general itinerary first. Before you can answer where you want to stay, you need to know what you want to do on your vacation. If most of your activities revolve around shopping and eating downtown, look at downtown properties that are within walking distance. Conversely, if you plan to hike or visit multiple attractions, choose an area that minimizes your drive time. As always in real estate, “location, location, location” applies here too. 2. Enter the actual dates you plan to stay. 3. Use the “Search When I Move Map” option. Once you’ve determined what you want to do, you’re now ready to find where you want to stay. The “Search When I Move Map” option allows you to precisely pinpoint the properties that are available in the area you’d like to stay. Tip: Zoom in to see exact street names. You can then enter a general address on Google Maps to see what surrounds the property and map the distance to other attractions. 4. Look closely at the photos. You’d be surprised how much you can learn about a property by looking at its photos. Does the furniture look worn? What is the view out the window? Is the bathroom remodeled? Is the property decorated nicely or is it cluttered? You’ll get a good general sense of the property layout, cleanliness, and style just by looking at the photos. Also, experienced owners will have multiple photos of the bedrooms, bathrooms, kitchen and living areas, whereas owners new to VRBO don't always include this detail. Go with the experienced owner. Additionally, if the photos are blurry or poor quality, keep looking. You can learn a lot from the people who have stayed at the property before you. First off, the star rating is important. Look for properties with at least 4/5 stars with dozens of reviews. You want lots of reviews because that means the owners have been doing this awhile and have the kinks worked out. In addition, the reviews can often be a goldmine of information. You can learn about a great restaurant in the neighborhood or an activity that’s close by and shouldn’t be missed. You can also find out whether the sleeper sofa is actually comfortable, the level of street noise, and other property quirks. Seriously, the reviews are usually the best source of information on the property. Read several of them. I also like to single out the worst reviews and make a point to read them as well. Keep in mind that sometimes there is just no pleasing people and terrible reviews will be written regarding events completely out of the control of the owners. However, if something did go disastrously wrong, I like to read how the owners handled it. 6. Realize many properties are not listed by the actual owner. In fact, you’ll often be dealing with a property manager rather than the owner. 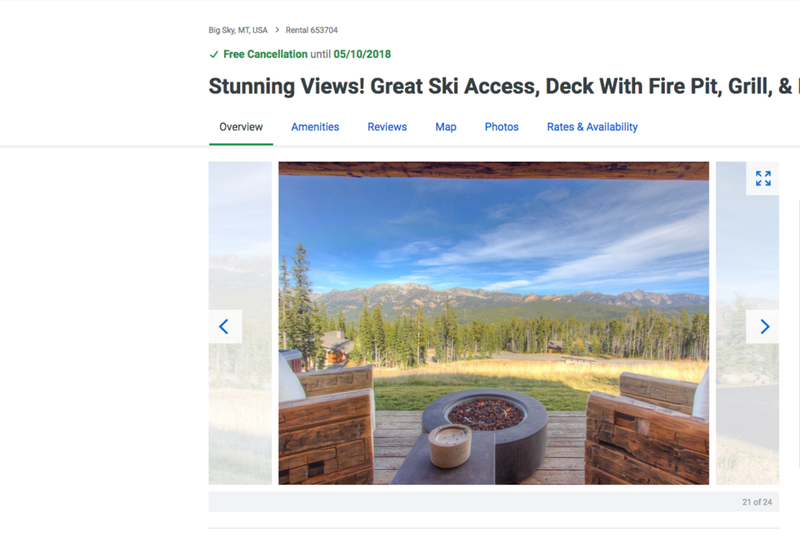 Although VRBO stands for “Vacation Rental By Owner”, it’s increasingly common for property management firms to list their properties on VRBO. The downside is that those properties are often more expensive than private owner listings. The upside is that you have a rental property management firm available if anything goes wrong, such as a broken air conditioner or leaking sink. 7. Count on additional fees. Although the price per night might look like a steal, keep in mind that you still need to pay cleaning fees, taxes, and a service fee. These additional fees can easily add up to the equivalent of an additional night’s rent. Tip: VRBO charges a service fee for booking through their site. I have often paid a check to the owner to avoid it, especially with properties I am returning to for a second time. 8. Check to see if the property is listed on other vacation rental sites. Once you’ve found the property you like, check to see if it’s listed on airbnb or booking.com. I’ve sometimes found the same property to be less expensive on other sites. If your property is listed by a property management company, check their website too. 9. Want to travel with your pet? You can search properties with a filter “pets allowed” to see which allow pets. Expect to pay an additional fee. I’ve found that for the most part, these properties can be just as nice as those that don’t allow pets. Look for hardwood floors and read reviews regarding cleanliness to increase your chance of a suitable property. Tip: I’ve sometimes had success asking a “no pets allowed” property if they would consider allowing a pet. It doesn’t hurt to ask, especially if you have a well-behaved dog with an excellent track record at home. Be willing to put down a sizable deposit. 10. Look at the cancellation policy. The cancellation policy varies by property. Be aware of the cancellation timeline and any fees you would incur if you need to cancel it. A strict cancellation policy versus a more flexible one is sometimes the deciding factor for me when choosing between two properties. Here are just a few examples of vacation properties we’ve found on VRBO and loved!